Watch expert tips from Karen McLean & Ben Ouattara to learn how to Perfect your Photography, Videography and make your own Super Slow-mo videos. Find a colorful neon sign at street level and have a friend strike a pose. Use the light from the sign to light their face. Tap the screen to focus on your friend, drag the brightness scale left or right to darken or lighten, and then shoot. Take your camera out in the rain to take a stunning portrait. 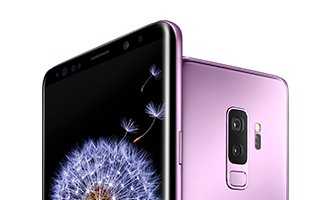 Don’t worry about water–the Galaxy S9 can handle a splash. Frame up a friend with an umbrella in front of some street lights. Select Live Focus and adjust the level of background blur for a beautiful photo worth getting wet for. * Live focus available only on the Galaxy S9+ rear camera. Create your very own color filter. All you need is some glow sticks. Hold the sticks close to the camera lens and play around with their positioning. Now, tap the screen to focus on a friend, drag the brightness scale left or right to darken or lighten, and then shoot. Grab a friend and their favorite snack. Select Super Slow-mo. The camera will capture Super Slow-mo when the yellow square detects motion. So position the square to the side of their face. Hit record, throw, then select GIF in gallery and choose 'Swing' in details. And remember, fails are usually funnier. Fill a balloon with confetti and then blow it up. Select Super Slow-mo. The camera will capture Super Slow-mo when the yellow square detects motion. So position the square over the balloon. Hit record, pop the balloon, then select GIF in gallery and choose 'Reverse' in details. The clean up will be worth it. Find some confetti or rice; there’s no wrong way to celebrate. Select Super Slow-mo. The camera will capture Super Slow-mo when motion is detected in the yellow square. So position the square over the confetti in your friend’s hands. Hit record, blow or throw, then select GIF in gallery and choose 'Loop' in details. Turn a floor into a wall and vice versa. All it takes is the right angle. Try having a friend lie on the ground with their feet planted on a wall. Make sure there’s nothing in the background that might spoil the illusion. Start shooting, then in your Gallery, tap Photo Editor Pro & Transform & Rotate to spin the photo 90°. First, find a reflection. It could be a shop window, a puddle or any other shiny surface. Then, decide how much of your friend you want to show. You could try showing all of the reflection and just some of the person, or just the reflection–or both. Play around for the best effect. Find a spiral staircase and go to the highest point. The taller the building, the better. Wait until no one’s on the stairs or add a friend one or two flights below. Aim down and move the camera around until you find a symmetrical image. Choose a sunny day for a rainbow effect on your bubbles. Tap Super Slow-mo. The camera will capture Super Slow-mo when the yellow square detects motion. So position the square over their face. Hit record. Then select GIF in gallery and choose 'Loop' in details. Find a friend who can blow bubbles like a pro. Tap Super Slow-mo. The camera will capture Super Slow-mo when the yellow square detects motion. So position the square over the bubble. Take a deep breath, hit record, then select GIF in gallery and choose 'Swing' in details to make it swing back and forth. Don’t worry about water–because the Galaxy S9 can handle a splash. So get up close and tap Super Slow-mo. The camera will capture Super Slow-mo when the yellow square detects motion. So position the square next to their face. Hit record, throw, then select GIF in gallery and choose 'Reverse' in details. Remember, the bigger the balloons the better. Take your camera out in bright sunlight and grab a pair of reflective sunglasses; mirrored lenses work best. Get up close and personal until you can see yourself in the reflection. Make sure the sunnies are spotless. Dive deep, hold your breath and aim up. To shoot underwater, press the volume button down (located on the left side). You could try shooting a pool toy, overhanging trees or a floating friend. 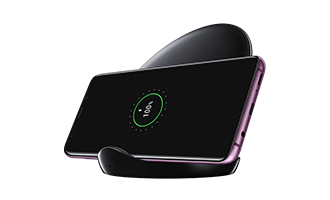 The Galaxy S9 is water resistant up to 1.5m for 30 mins. Just remember to towel dry when you’re done. Grab a friend, some glow sticks and go out into the night. Pop your camera into Pro Mode (shutter speed somewhere between 2 and 4, ISO 50) and put it somewhere it’ll stay perfectly still. Shoot while a friend ‘draws’ with a glow stick (or their phone flashlight). You’ll have two seconds to make a masterpiece. *Pro Mode can be set-up differently depending on the environment. The best time for capturing a stunning silhouette is Golden Hour—the hour before sunset. Have a friend stand in front of the colorful sky and start snapping. Try different poses and move your camera around until you get a shot you like. Get ‘The Halo’ effect with car headlights. Position a friend between you and stationary car headlights. Make sure they block the lights entirely for a stunning halo effect around their silhouette. Experiment with different poses and try shooting from a crouched position—not at eye height—for a more dramatic effect. First, find a reflective surface—a swimming pool, lake or even a puddle will do. With you on one side and a friend on the other, photograph the reflection in the water. Then, go into the Gallery and tap Photo Editor Pro & Transform & Flip vertical to finish the effect. Lie down, look up and have a friend jump over you. Try using a Burst Shot. To take one, simply press and hold the shoot button and your Galaxy will take 20+ photos in one go. Then find the best image in the Gallery. A Burst Shot is your secret weapon here. To take one, simply press and hold the shoot button; your Galaxy will take 20+ photos as your friend jumps. In the Gallery, find the image where your friend appears suspended in thin air; neither rising or falling. Burst Shot works best in bright light, so jump outside. Professional photographers often use the vanishing point; a point in the distance where two parallel lines come together—like white rails above. You’ll find that getting close to the ground often helps. Now add a friend for a perfectly framed photo. See how people around the world are using their Galaxy to create stunning pictures. Then head out and join the fun. Calling all animal lovers—here are fantastic Super Slow-mo videos of furry friends! Check out how the humans at The Dodo captured magnificent four-legged moments. These epic videos will get you right in the feels.BuzzFeed takes Super Slow-mo to a new level with videos showing hilarious and relatable moments in awesome detail.